Folding Puzzle Cubes to Learn Just about Anything – No matter what subject you’re studying, these folding cubes are a fun way to learn! Choose from human anatomy, plant & animal cells, chemical symbols, art prints and more. Ice Skating Notebooking Pages – Whether your kids love ice skating or you’re planning a trip to the local rink (or pond), these FREE ice skating notebooking pages are a great addition to any winter unit study. These FREE printable calendars are undated and available in color or black & white so these can be printed to use year after year. Groundhog Day Notebooking Pages – These FREE notebooking pages for Groundhog Day include three different types of lines to accomodate early writers thru upper elementary and beyond. This set includes 66 total pages. Deantal Health Notebooking Pages – February is Dental Health Month and these notebooking pages are a fun way to help kids learn more about staying healthy with their teeth. FREE Date Dash Chile-Chilean History Card Game – Learning the history of different countries doesn’t have to be boring. Try this fun Date Dash Card Game to learn all about Chilean history. Animals that Hibernate in Winter Printable Coloring Book – This FREE 18-page printable coloring book is a fun way to learn about animals that hibernate in the winter months. 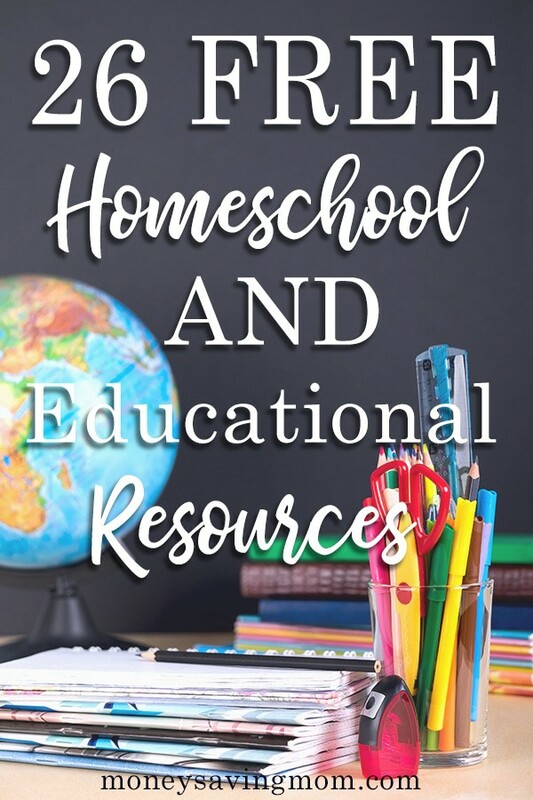 FREE Printables to Accompany Apologia’s Zoology 1: Flying Creatures – If you’re using Apologia’s Zoology 1: Flying Creatures, this Huge list of science freebies and resources are listed by lesson number to aid you in your studies. Life of a Polar Bear Emergent Readers – Young and early readers will enjoy learning about the life cycle of a polar bear in these FREE emergent readers. They are available in four different levels from sight words to upper elementary. 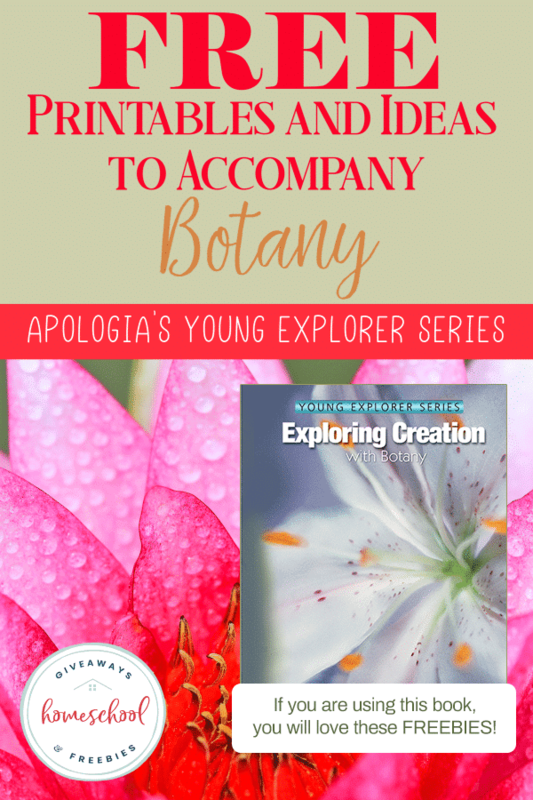 Apologia Exploring Creation with Botany FREE Printables – This Huge list by lesson number for science freebies and resources to use along with Exploring Creation with Botany. FREE Tracing Pages with the ABC Hero’s – If you have an early learner that loves superheroes and is learning to write, they will love practicing their handwriting skills alongside these ABC Hero’s. FREE Letter of the Week Letter T Notebook – Is your little one learning the letter T? They will love working through these fun letter T activities, like tracing a train track, making their way through mazes, putting together puzzles, dot-to-dots and more. Groundhog Day Emergent Readers – Your young readers will love these themed emergent readers available in both color or black & white. Arctic Tundra Playdough Mats – Are you studying the arctic tundra animals in your homeschool? Your little ones will love feeling included in the learning with these playdough mats. This set includes four letters and numbers 1-10. 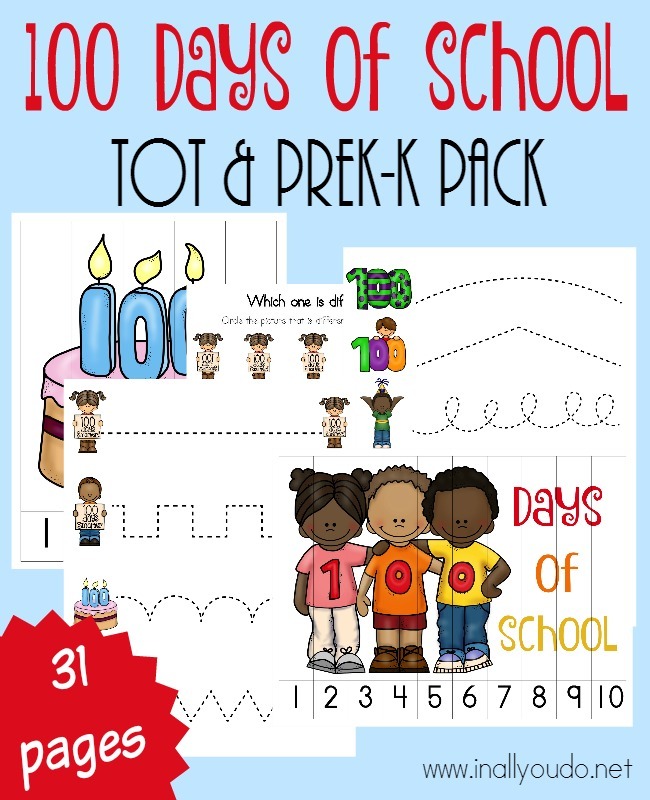 100 Days of School Tot & PreK-K Pack – Is your 100th day of school coming up? Your little ones will have fun working through this tot & preK-K pack as you celebrate. FREE Printable Digraph Activity for Teaching the Consonant Digraph Sounds – If your early reader is struggling with consonant digraphs, these FREE printable say and cover pages are a great way to practice. Help your child build their reading and writing fluency with these FREE printable simple sentence no-prep work worksheets. FREE Young Learner Gentle Grammar Curriculum – Grammar lessons shouldn’t be a bore or dreaded. This FREE curriculum helps students learn grammar without the tears. Watch a preview video and download all four levels. FREE Sight Word Educational Games for Homeschool – Sight words can be difficult for kids to learn. Make it more fun with these FREE printable and educational Sight Word games! Help Your Children Master Multiplication with FREE Printables – Does your child struggle with multiplication? Help them master their multiplication facts with these FREE 11-page printable activity pack. FREE Printable Scripture Copywork Calendars for Each Month of the Year – If you’re interested in working on character qualities with your children, these printables calendars are a must-have. Each month focuses on a different quality with Bible verses to read each day. There are blank complementing copywork pages in both color and black & white. FREE Printable Thank You Cards to Help Your Kids Show Gratitude – Teaching your children gratitude isn’t easy. Help them express their gratitude with these FREE Printable Thank You Cards. FREE Printable to Help You Successfully Read Your Bible in a Year – Help your children or family read through the Bible in a Year with this FREE printable plan. Beauty and the Beast Animated Movie Study – If your kids love the animated movie Beauty and the Beast, they will have fun working through this movie study. It includes discussion questions, compare/contrast, what happens next and more. Movie Study – Beauty and the Beast “LIVE” Version – Watching movies can be both fun and educational. 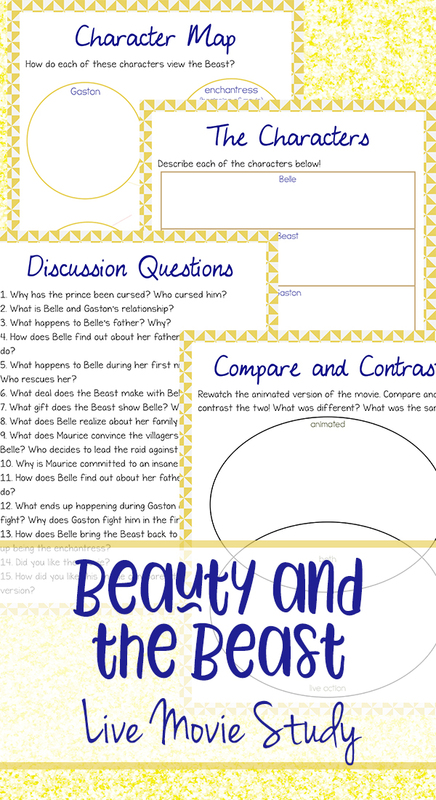 This FREE “LIVE” version movie study for Beauty and the Beast includes activities for upper elementary thru middle school to extend the learning beyond the movie. Literature Notebooking Pages for Middle & High School – This FREE 29-page pack includes pages for literary analysis, character analysis, chapter analysis, vocabulary and more. Next articleSign up with Qkids to work from home as a part-time ESL teacher! Free Mini Bundle of Printable Math Games & Lessons for March!